An experience of a lifetime. Get up close and personal. 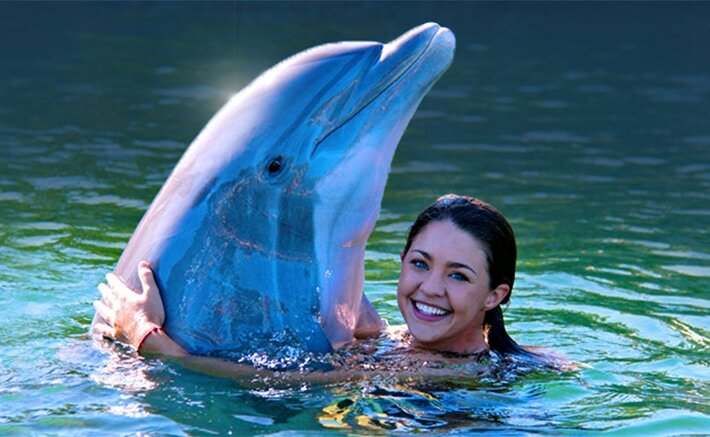 Dolphins Plus offers a variety of marine mammal interaction programs, including Guided Natural Dolphin Swims, Structured Dolphin Swims, and Shallow Water Encounters. These programs are designed for individuals interested in learning more about dolphins in a safe, natural seawater environment. * Due to insurance reasons, pregnant women are unable to participate in our dolphin swims, but are welcome to sign up for the Kissed By a Dolphin Program. In addition to swimming with dolphins, each visitor will participate in an educational briefing about dolphin natural history. Our highly trained staff covers topics such as dolphin anatomy, social behavior, reproductive biology, echolocation, conservation, and what to expect during the swim. 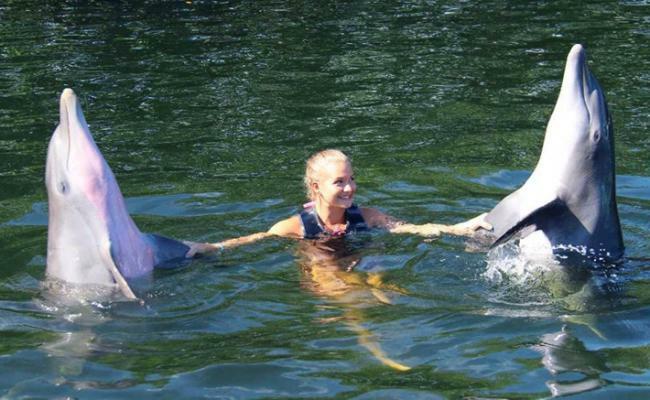 This is followed by a sensational in-water program with our dolphins or sea lions that you will remember for a lifetime! All participants must understand the English language and should be comfortable in deep water in which they will be unable to stand. Please bring sunscreen, towels, and a change of clothes. 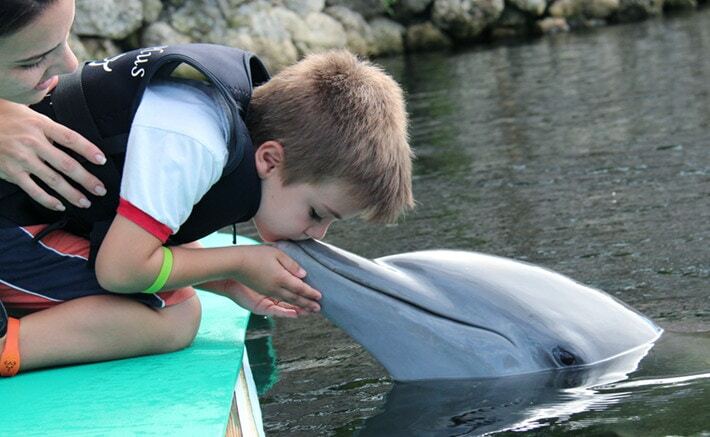 Dolphins Plus provides all additional, necessary equipment at no additional charge. 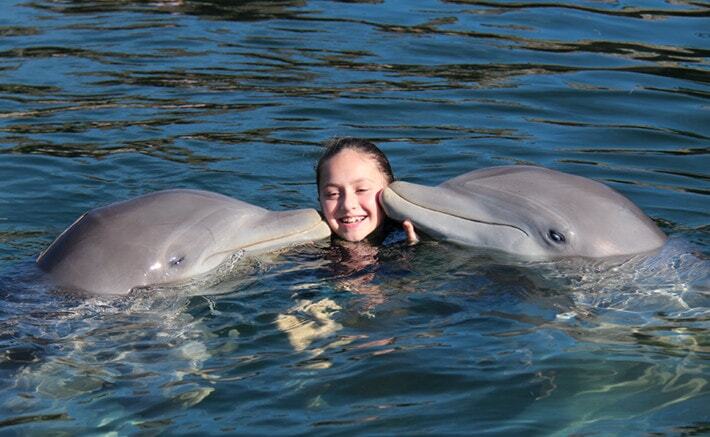 Our Structured dolphin swims are offered daily at 9:15 am, 1:00 pm, and 3:00 pm. This is not a snorkeling with dolphins program, but participants need to be able to swim, and feel comfortable in 10 – 15 feet of water wearing a flotation device. Shallow Water Dolphin Encounter is a waist deep dolphin interaction program that gives you a chance to meet our dolphins up close and personal, while standing comfortably in waist deep water. Shadow a trainer for a day at Dolphins Plus! 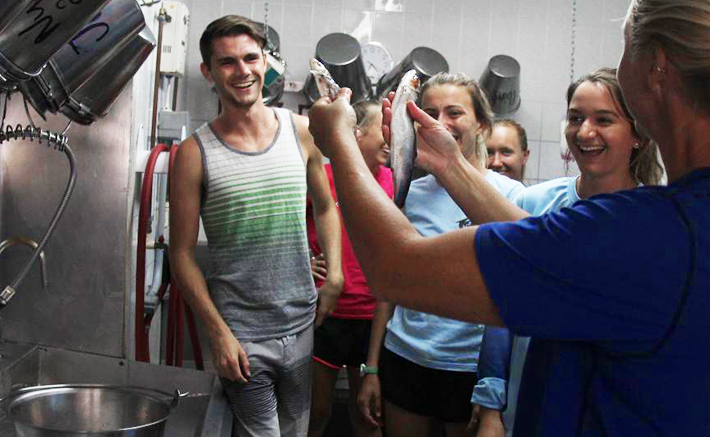 This program combines dolphin interactions with a behind the scenes look into marine mammal care and training. Please join us for this unique and exciting educational opportunity! 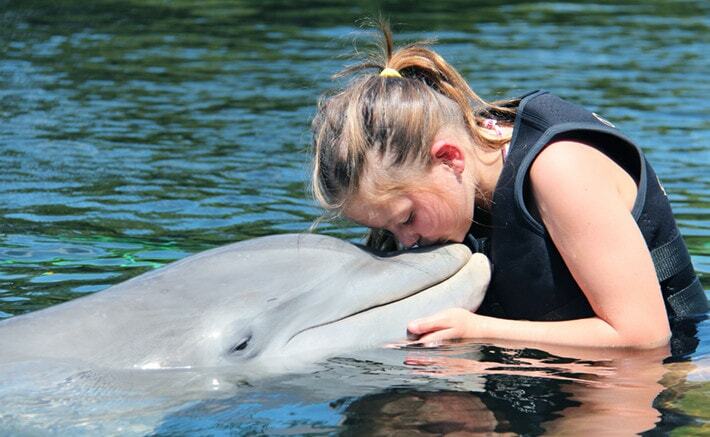 Have you always dreamed of being kissed by a dolphin? 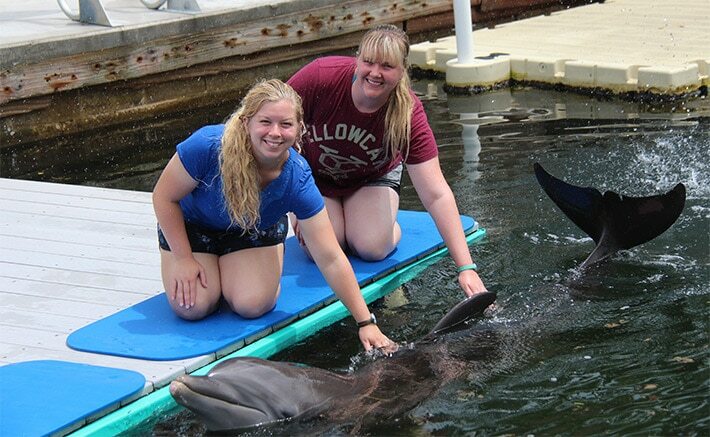 Dolphins Plus Bayside offers a program to make your dreams a reality! 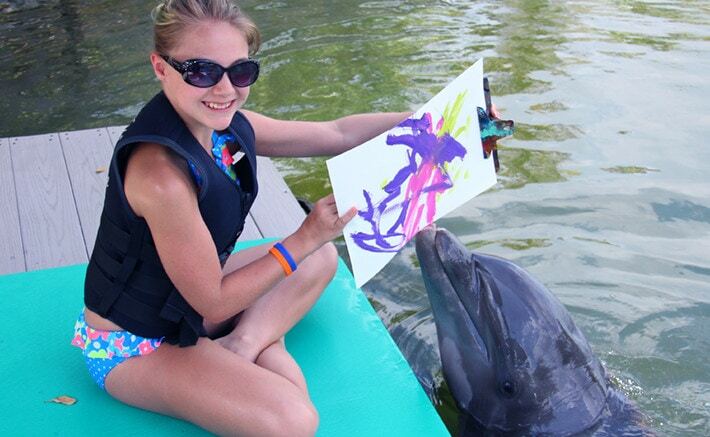 Our Paint with the Dolphins program will bring out the artist in you. You assist our dolphins in their latest painting creation! CALLING ALL DOLPHIN LOVERS!!! Dolphins Plus invites you to join our team for the unforgettable and amazing opportunity to become a part of our dolphin family. 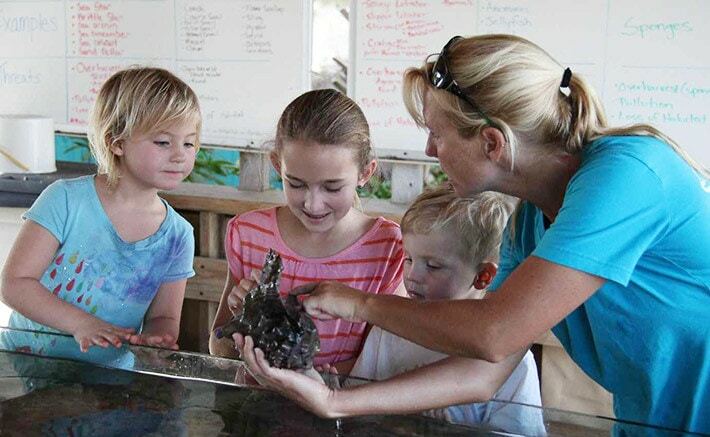 Our Dolphin Kids Summer Camp is a new, weeklong marine science camp for kids ages 6 -10, hosted at our beautiful Bayside facility. 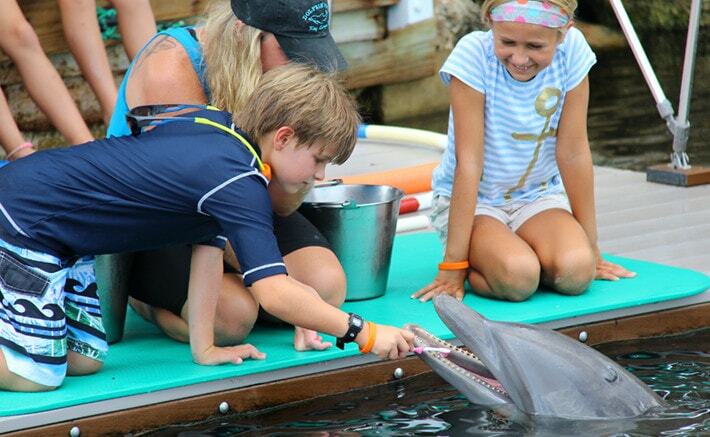 Dolphin Blast is a full day of dolphin fun, designed for children ages 7-10 offered special on holiday weekends at our beautiful bayside location. 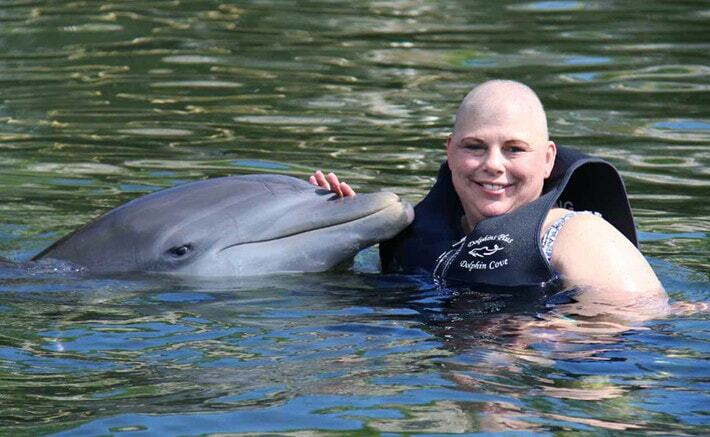 If you or someone you love is battling cancer, we would like to arrange a special experience with our family of dolphins for you. 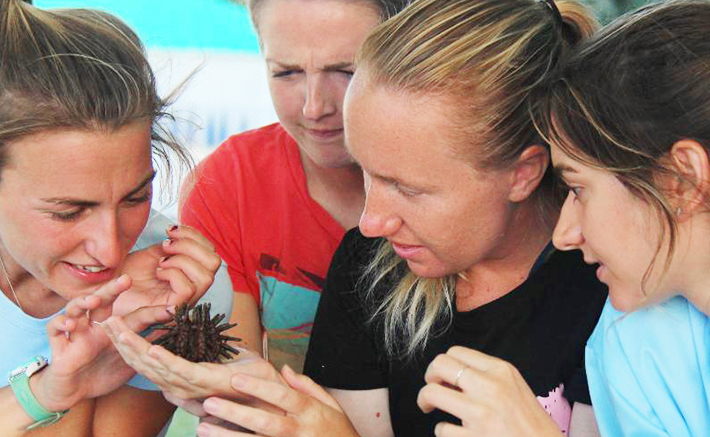 The Florida Keys Marine Invertebrate Experience at Dolphins Plus is designed to be offered as an additional experience to one of our dolphin interactions or as a stand-alone experience. Junior Dolphin Explorers is a weeklong summer camp experience right here at Dolphins Plus for dolphin lovers and budding marine scientists ages 11-14. Campers will investigate dolphin intelligence, flukes and flippers, majestic manatees, and even learn how to help stranded marine mammals!